Today we will learn about SQL Injection basics. In previous article “INJECTION ATTACKS TUTORIAL – OWASP #1 VULNERABILTY – PART 1”, we have learned about Injection attack basics and type of Injection attacks. As we have learned in previous article that Injection means adding something extra into code which changes the actual behavior of the code or Query. Similarly SQL Injection means adding something extra into SQL query which result into deviation of SQL from actual behavior. SQL injection is an attack in which malicious code is inserted into strings that are later passed to an instance of SQL Server for parsing and execution. SQL Injections operate by injecting data into a web application which is then used in SQL queries. The data usually comes from untrusted input such as a web form. However, it’s also possible that the data comes from another source including the database itself. Programmers will often trust data from their own database believing it to be completely safe without realizing that being safe for one particular usage does not mean it is safe for all other subsequent usages. Data from a database should be treated as untrusted unless proven otherwise, e.g. through validation processes. If successful, an SQL Injection can manipulate the SQL query being targeted to perform a database operation not intended by the programmer. Normally what happens in web applications, Coders embed their SQL queries into web pages in order to submit and retrieve data to/from databases, which is a normal practice in corporate world. When visitors visit these web applications or websites which contains embedded SQL queries, these SQL queries are parsed into HTML formatting i.e. invisible to regular user. So a regular user cannot view what SQL is embedded into web application or web page. Now what Hackers do which normal regular user doesn’t? Hackers inspect’s the web page to check how particular value is being retrieved, how particular search form or text box field(can be login box or any input) is validated and much more. During this inspect, if Hacker encounters some type of error message or abend, then this confirms web application is vulnerable to Injection flaws. But how exactly hacker validates these things? For checking SQL injection its not a rocket science, they just tests values lies in Special Character Set, Escape Sequence Set and last but not the least Encoded value of previous two. 1. Data enters a program from an untrusted source. 2. SQL Injection can attack those SQL queries which are dynamically created by using some inputs from either program or user or some functionality. 3. SQL Injection can also occur if escape sequences and types are not handled properly in the SQL query. 1. First of all contents of POST are not validated to ensure that its a valid User ID. 2. We are allowing an untrusted source to tell us which user_id to use – an attacker could set any valid user_id they wanted to. Most developers believe that just using the POST to hide user_id will work. But they are wrong because hacker can submit anything into the forms. 3. We have not escaped the user_id or passed it to the query as a bound parameter which also allows the attacker to inject arbitrary strings that can manipulate the SQL query given we failed to validate it in the first place. The above three issues are quite a bit common among all web applications. We will discuss each one of them in detail in later articles. That’s it for today, we will learn SQL injection and its reasons how does SQL injection occurs and how to fix SQL Injection in later articles. So keep connected. Prevent SQL Injection via Prepared Statements or Parameterized Queries : In our last tutorial on How to prevent SQL Injection, we have learned how Dynamic SQL queries and Escape Sequence & type handling makes our website vulnerable to SQL Injection attacks. Well if you ask me the reason, then i will say its only because of lack of awareness of secure coding standards. If web developers know how to code securely and efficiently then we all can prevent SQL Injection. So friends, today we will learn our very first article on how to write SQL codes securely using prepared statements. Queries written using prepared statements are also referred as Parameterized Queries. But before everything we must understand what is Parameterized Query and then we will learn how to write Parameterized Queries in different web application Languages in secure way to Prevent SQL Injection. I will explain in the Languages that i know(i.e. Core Java, Java Hibernate, .NET, ASP.NET, PHP and PERL) rest you can learn from other references. So friends lets start our tutorial on How to Prevent SQL Injection via Prepared Statements or Parameterized Queries. What is Parameterized Query in respect to SQL? Parameterized Query is basically an type of SQL Code which requires at least one parameter for its execution. A Standard placeholder i.e. 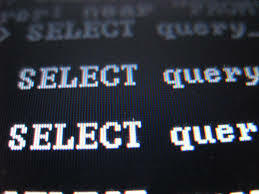 “?” (without quotes) is normally substituted for the parameter in the SQL Query and then the parameter is passed to query in the separate statement. Still not clear? But the above Dynamic SQL is insecured and its vulnerable to SQL Injection because custName variable is not properly handled. Now you can see how a parametrized query actually looks like. ? is standard placeholder and custName field is passed after input validation checks. I hope this gives you basic understanding of What is parametrized Query and how we should write. Our main goal is to understand how it will help us to avoid SQL Injection attacks. So lets see the actual concept running behind it. All developers should understand the concept of using Prepared statements or parametrized queries before writing actual Database Queries. Because this will not secure your website but also it will increase the readability of the SQL code and will save you efforts in fixing and understanding things. Using Prepared statements is just an another way to write Dynamic queries but faster, safer and easier way. Parametrized Queries force web developers to first write the complete SQL code , and then pass each parameter as per requirement. This helps in distinguishing between code and data regardless of what user input has been supplied to SQL code. This is the step where it handles the user input via validation and hence secures the SQL Injection attacks. So by prepared statements, web developers prevent hacker from changing the actual processing or functionality of SQL query. But How? In the example of Parametrized Query i have shown above if Hacker passes some Blind SQL String say ‘a’=’a’ then what Query will do is, it will check for the customer name who has name ‘a’=’a’ rather that logically interpreting it. So it prevented the SQL Injection. Isn’t it? Off-course it does. SQLite : use sqlite3_prepare() to create a statement Object. Usually use of prepared statements won’t hinder the performance of the SQL Query but if you think its hampering the performance, then the best possible solution is to escape all user supplied input using an escaping routine specific to your database, rather than using Prepared statements. For such situation we have another secure coding standard called use of Stored procedures that we will discuss in upcoming article of the series. Now its time to see how to write parametrized query in different Languages of the above unsafe Dynamic SQL. 1. Core Java or Standard Java : We have already seen that above but still for easy navigation sake i will write it again here. In Standard Java we have function prepareStatement() to write parametrized queries. Well that’s all about Prepared Statements or Parameterized queries. I hope you all understands the concept that how we an prevent SQL Injection using Prepared statement or Parameterized Queries. In our Next article on How to Prevent SQL Injection, we will learn how to use Stored Procedures to prevent SQL Injection. Have Fun! Keep Learning. If you have any queries ask me in form of comments.